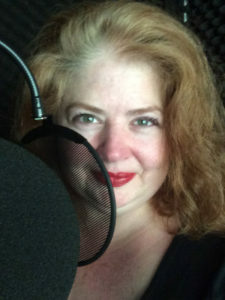 Heather Jane Hogan is a professional voice actor, located in Summerville, SC. While she adores voice acting, she has also appeared on a few different stages around Charleston, including a recent performance of I Hate Hamlet with Flowertown Players. “Crosswired” is her first radio play ever, and rumors say she is thrilled to be working with such lovely and talented people at Aural Traditions.